James is part of the team that leads Emmanuel at the Clarendon Centre. With his ever-growing beard and her indomitable sense of style, James and Alexis are hard to miss in a crowd. 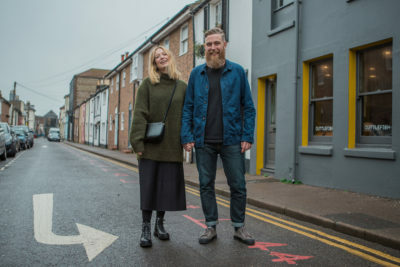 They live in the heart of the North Laine and love the to-and-fro of life in Brighton’s creative hubbub. When they’re not raising their three boys, Frank, Seb and Jude, they can be found frequenting the area’s finest coffeeshops and watering holes. Wondering where James is tonight? Pop your head in at The Basketmaker’s Arms.